M.S. Sanklecha And A.K. Menon, JJ. M.S. Sanklecha, J. 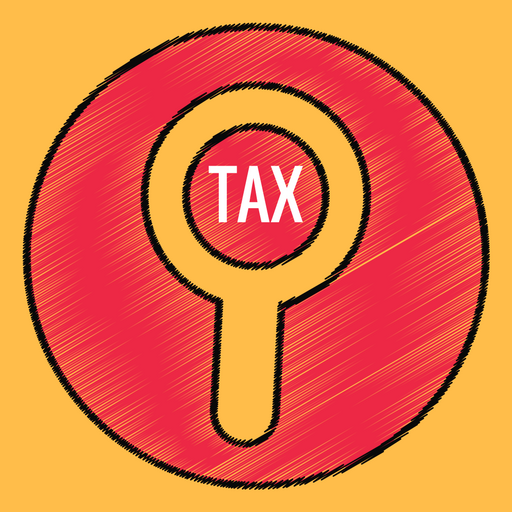 – This appeal under Section 260A of the Income Tax Act, 1961 (for short ‘the Act’) challenges the order dated 17th May, 2002 passed by the Income Tax Appellate Tribunal (for short ‘the Tribunal’). The impugned order relates to Assessment Year 1996-97. (a) Whether on the facts and in the circumstances of the case, the Income Tax Appellate Tribunal was justified in applying the provisions of Section 54(F)(4) of the Income Tax Act, 1961? (b) Whether on the facts and in the circumstances of the case, the Appellate Tribunal was right in holding that the Assessing Officer has rightly computed the deduction u/s. 54F of the Income Tax Act, 1961, restricting the investment in the new asset at Rs. 35,00,000/- and thus restricting the exemption u/s. 54F of the Act proportionately to the amount invested? (a) On 29th April, 1995, the appellant sold a plot of land in Mumbai for a consideration of Rs. 85,33,250/-. (b) On 16th July, 1996, the appellant entered into an agreement to purchase a flat for a consideration of Rs. 69,60,000/-. (c) The appellant paid two instalments of Rs. 10,00,000/- each on 17th July, 1996 and 23rd October, 1996 to the developer/builder i.e. before the due date for filing of return of Income under Section 139(1) of the Act i.e. 31st October, 1996. (d) On 1st November, 1996 the petitioner paid to the developer a further instalment of Rs. 15,00,000/- for purchase of flat pursuant to the agreement dated 16th July, 1996. (f) On 13th March, 2001, the Assessing Officer passed an Assessment Order under Section 143(3) read with Section 147 of the Act. The Assessment Order determined the net consideration at Rs. 75.39 lakhs. Thereafter the Assessing Officer allowed a proportionate exemption of Rs. 31.55 lakhs (out of Rs. 35 lakhs paid till the filing of return) from Capital Gain Tax in terms of Section 54F of the Act. However, the balance consideration of Rs. 43,84,334/- which was payable for purchase of the flat pursuant to the agreement dated 16th July, 1996 was brought to tax under the head ‘Capital Gains’. This on account of appellant’s failure to deposit the unutilized consideration for purchase of the flat in specified bank accounts in accordance with the scheme of Central Government as provided under Section 54F(4) of the Act. (g) Being aggrieved, the appellant-assessee filed an appeal to the Commissioner of Income Tax (Appeals) (CIT (A)). By order dated19th October, 2001, the CIT (A) did record the fact that the appellant had obtained possession of the new flat on 27th January, 1997. However, the order of the Assessing Officer dated 13th March, 2001 was not disturbed. (h) Being aggrieved the appellant carried the issue in further appeal to the Tribunal. By the impugned order, the Tribunal on an analysis of Section 54F(4) of the Act, came to the conclusion that the appellant had only utilized Rs. 35,00,000/- of the net consideration received on sale of land towards purchase of a flat before the due date of filing the return of income. Further, the balance of the net consideration had not been deposited in the specified bank account as mandated by Section 54F(4) of the Act. Thus dismissing the appeal of the appellant-assessee. (a) No submissions were made specifically by the appellant in support of the question raised herein i.e. applicability of Section 54F(4) of the Act to the present controversy. In fact it is an agreed position between Counsel for the parties that Section 54F(4) of the Act applies to the present facts. The only issue for consideration is its appropriate interpretation. (b) In view of the above agreed position, question no. 1 is answered in the affirmative i.e. in favour of the respondent-revenue and against the appellant-assessee. (a) The facts leading to this question have been set out in Para 2 herein above. Therefore not repeated here. (iv) The decision of Gauhati High Court in Rajesh Kumar Jalan (supra) would have no application in the present facts as admittedly the amounts have not been utilized or deposited in the specified bank account before the assessee filed his return of income on 4th November, 1996. Provided that nothing contained in this sub-Section shall apply where the assessee owns on the date of the transfer of the original asset, or purchases, within the period of one year after such date, or constructs, within the period of three years after such date, any residential house, the income from which is chargeable under the head “Income from house property”, other than the new asset. (e) We shall first examine the scheme of Section 54F of the Act. Section 54F is part of Chapter IV of the Act which inter alia provides for computation of total Income and for that purpose, sets out the various heads of income. Part E of Chapter VI deals with the head of income viz. Capital Gains. It provides for Computation of Capital gains and also for exemption available thereunder. Section 54F of the Act introduced into the Act with effect from 1st April, 1983 by the Finance Act, 1982 provides exemption from Capital gain on transfer of any long term capital asset in case the same is invested in a residential house. However, the Section when introduced provided that any capital gain arising from transfer of long-term capital asset would not be chargeable to capital gains tax, if the same were utilized for purchase of an housing accommodation within a year before or after the date on which the transfer of an capital asset took place or was used for construction of a residential house within a period of three years from the date of transfer of the Capital Asset. (f) Thus, Section 54F of the Act as incorporated made available the benefit of exemption to purchase a house within one year (amended to two years) or construct a residential house within a period of 3 years from the date on which capital asset has been sold. However, while implementing Section 54F of the Act, it was noticed that at times assessments were completed prior to the expiry of above period of two/three years from the date of sale of the Capital Asset and the assessee had not utilized the amount within the prescribed period provided in Section 54F of the Act. This would lead to Assessment orders being rectified by appropriate orders, to determine the availability of benefit of exemption under Section 54F of the Act. (g) This led to the introduction of sub-section (4) to Section 54F of the Act by the Finance Act, 1987 with effect from 1st April, 1988. Besides introducing sub-section (4) to Section 54F the Finance Act, 1978, also amended Sub-section (1) of Section 54F of the Act to make it subject to provision of sub-section (4) thereof. (h) As we are concerned with Assessment Year 1996-97, it is the amended provision which applies. Therefore, now Section 54F(1) of the Act which grants exemption from Capital gain tax where a flat is purchased either within one year prior to the sale of capital asset or within 2 years after the date of sale of the capital asset or where a residential house is constructed within 3 years from the date of sale of the capital asset, is now subject to the provisions of Section 54F(4) of the Act. Thus, where the consideration received on sale of capital asset is not appropriated (where purchase was earlier than sale) or utilized (where purchase is after the sale) then the same would be subject to the charge of capital gain tax, unless the unutilized amounts are deposited in specified bank account as notified in terms of Section 54F(4) of the Act. The exemption would be available to the unutilized amounts only if the mandate of sub-section (4) of Section 54F of the Act is complied with. Further the proviso to sub-section (4) of Section 54F of the Act, safeguards the Revenue where the assessee had not invested the amounts chargeable to Capital Gains within the time prescribed under sub-section (1) of Section 54F of the Act. This by providing that in such cases, Capital Gain under Section 45 of the Act would be charged on the unutilized amount as Income of the previous year in which the period of three years from the date of transfer of the capital asset expires. (i) On the basis of the above broad analysis, we shall now examine the facts of the present case. The sale of capital asset took place on 29th April, 1995 for a consideration of Rs. 85.33 lakhs. The agreement for purchase of construction of flat for consideration of Rs. 69.90 lakhs was entered into by the appellant on 16th July, 1996. An amount of Rs. 35 lakhs were utilized by the Appellant in purchase of flat before the return of income was filed on 4th November, 1996 under Section 139 of the Act. However, the mandate under sub-Section (4) of Section 54F of the Act is that the amount not utilized towards the purchase of the flat has to be deposited before the due date of filing return of Income under Section 139(1) of the Act in the specified bank account. In this case admittedly the entire amount of capital gains on sale of asset which is not utilized has not been deposited in a specified bank account before due date of filing of return under Section 139(1) of the Act. Therefore where the amounts of capital gains is utilized before filing of the return of income in purchase/construction of a residential house, then the benefit of exemption under Section 54F of the Act is available. Before us it is an undisputed position that except Rs. 35 lakhs, the balance of the amounts subject to capital gains tax has not been utilized before date of furnishing of return of income i.e. 4th November, 1996 under Section 139 of the Act. Therefore, on plain interpretation of Section 54F of the Act, it appears that the impugned order of the Tribunal cannot be faulted. (j) However, the aforesaid view would be subject to the result of our examination of the submissions and case laws relied upon by Mr. Chatterji in support of the appeal to urge a view contrary to the plain meaning of Section 54F of the Act. (k) Reliance placed by the Appellant upon the decision of this Court in Mrs. Hilla J. B. Wadia’s case (supra) to contend that the issue stands concluded in favour of the appellant-assessee is not acceptable. This for the reason that the only issue for consideration before the Court in the above case was the interpretation of Section 54 of the Act. In the above case the assessee had sold her residential property and invested a substantial amount in a Society for construction of a residential flat in the building to be constructed. The assessee therein had paid substantial amounts to the society and also acquired domain over the flat within a period of 2 years from the date of the sale of her house. At that point of time i.e. for the Assessment Year 1973-74 there was no requirement of depositing any unutilized amount in a specified bank account as now provided under Section 54(2) of the Act (similar to Section 54F(4) of the Act). Therefore the Court had no occasion to consider the provisions of Section 54(2) of the Act which is similar to Section 54F(4) of the Act, with which we are concerned. (l) Mr. Chatterji, then placed reliance on the observation of this Court in Mrs. Hilla J.B. Wadia’s case (supra) that the Circular issued by the Central Board of Direct Taxes dated 15th October, 1986 in relation to construction of a home by Delhi Development Authority should also be extended to cities like Mumbai, as there is no control over the time taken by the developer/builder to construct the house and give possession of the same to the assessee. The Central Board of Direct Taxes Circular dated 15th October, 1986 was issued only in the context of Section 54 and 54(F) of the Act to clarify that an investment in a flat under the self-finance scheme of Delhi Development Authority would be treated as construction for the purpose of capital gain, where an allotment letter has been issued by the Authority and facility of payment in instalment is provided for the purchase of flat. It did not even remotely concern itself with the provision of Section 54(2) and/or 54F(4) of the Act with which we are concerned. The Circular only extended the meaning of constructing a residential house within a period of three years from the sale of the capital asset. The subsequent Circular issued in 16th December, 1993 by the Central Board of Direct Taxes relied upon by the Appellant, only extended the meaning of “constructed within a period of three years” to allotment letters issued by the Co-operative Housing Society or other similar institution for the purpose of section 54F of the Act. Therefore, it does not in any manner do away with and/or relax the statutory mandate of depositing the unutilized amount in the specified bank account as required by sub-section (4) of Section 54F of the Act. Therefore, neither the decision of this Court in Mrs. Hilla J. B. Wadia’s case (supra) nor the Central Board of Direct Taxes Circulars dated 15th October, 1986 and 16th December, 1993 would govern the issue so as to conclude the issue in favour of the Appellant. (m) The reliance upon the decision of the M.P. High Court in Smt. Shashi Varma’s case (supra), also does not advance the case of the Appellant. We find that the facts in the above case are similar to the one in Mrs. Hilla J.B. Wadia’s case (supra) and for the same reasons, will not govern the present dispute. In fact, the issue stood covered by the Circular dated 15th October, 1986 as the property purchased therein was of the Delhi Development Authority. Thus, the above decision has no application to the present facts. (n) Mr. Chatterji, learned Senior Counsel appearing for the appellant assessee then contended on the basis of the two Circulars dated 15th October, 1986 and 16th December, 1993 of the Central Board of Direct Taxes that once an allotment letter has been issued to the assessee, then it follows that the title of the constructed house has passed on to the assessee. Therefore the payment made subsequent to allotment letter in instalments would not in any manner affect the assessee having satisfied Section 54F(1) of the Act. This submission ignores the fact that Sub-Section (1) of Section 54F has been made subject to Sub-Section (4) of the Act. The requirement under Section 54F(4) of the Act is the deposit of the unutilized amount in the specified bank account till it is utilized. This requirement has not been done away with in either of the above two Circulars dated 15th October, 1986 and 16th December, 1993 relied upon by the Appellant-Assessee. (o) Mr. Chatterji, learned Senior Counsel next submitted that in any case the issue now stands concluded in favour of the Appellant by the decision of the Karnataka High Court in K. Ramachandra Rao’s case (supra) wherein an identical question came up for consideration and it was held that even where the assessee had not deposited the unutilized Capital Gain in an account which was duly notified by the Central Government in terms of Section 54F(4) of the Act, the benefit of Section 54F(1) of the Act would still be available. The Court held that if the intention was not to retain the capital gains but was to invest it in construction of property within the period stipulated in Sub-Section (1) of Section 54(F) of the Act then Section 54F(4) of the Act is not at all attracted. We are with respect unable to accept the reasoning adopted by Karnataka High Court in K. Ramachandra Rao’s case (supra). The mandate of Section 54F(4) of the Act is clear that amount which has not been utilized in construction and/or purchase of property before filing the return of income, must necessarily be deposited in an account duly notified by the Central Government, so as to be exempted. (q) In fact this Court in CIT v. Thana Electricity Supply Ltd.  206 ITR 727 (Bom.) has observed that a decision of one High Court is not binding as a precedent on another High Court unlike a decision of the Apex Court. In support, reliance was placed in the above order upon the decision of the Apex court in Valliamma Champaka Pillai v. Sivathanu Pillai AIR 1979 SC 1937 to hold that it is well settled that decision of one High Court is not a binding precedent upon another High Court and at best can only have persuasive value. However, at the cost of repetition we must emphasize that the decision of another High court rendered in the context of an all India Act would have persuasive value and normally to maintain uniformity and certainty we would adopt the view of the other High Court. However, with the greatest respect, we find that the decision of Karnataka High Court in K. Ramachandra Rao’s case (supra) has been rendered sub-silentio. Therefore, we cannot place any reliance upon it to conclude the issue on the basis of that decision. (r) It was next contented by Mr. Chatterji, that liberal/beneficial construction should be given to the provision of Section 54F of the Act as its object was to encourage the housing sector which would result in the benefit being extended to the appellant assessee. In support, reliance was placed upon the decision of Delhi High Court in Ravinder Kumar Arora’s case (supra). We find that observation of the Delhi High Court in Ravinder Kumar Arora’s case (supra) that Section 54F of the Act should be liberally construed was in the context of the benefit being denied as the name of the wife was added to purchase made by the assessee of a new flat. This denial was even though all the requirements of Section 54F of the Act stood satisfied. Therefore the observation of the Delhi High Court would have no application to the present facts. In the present facts the provision of Section 54F(4) of the Act are very clear. There is no ambiguity. Thus, there is no occasion to apply liberal/beneficial construction while interpreting the Section as contended by the Appellant. (t) It was next contended by Mr. Chatterji, learned Senior Counsel for the appellant that the word “appropriation” used in Section 54F(4) of the Act would also apply in the present case where the capital asset has been sold and sale proceeds are earmarked to be invested in construction of house. A plain reading of Section 54F(4) of the Act militates against it. As pointed out by Mr. Malhotra, learned Counsel appearing for the revenue, Section 54F(4) of the Act deals with two classes of cases, one where purchase of new residential house is within a period of one year before the date on which capital asset is sold by assessee and second class of cases where the amount subjected to capital gains are utilized for purchase/constructing a flat, post the sale of the capital asset. In the present facts we are concerned with the second class i.e. purchase post the sale of the capital asset. (u) The parliament has used the word “appropriated” in the first class of cases i.e. where property has already been purchased prior to the sale of capital asset and the amount received on sale of capital asset is appropriated towards consideration which has been paid for purchase of the flat. In this case we are concerned with the purchase/construction of residential housing, after the sale of capital asset. This requires the amount which is to be subjected to capital gain has to be utilized before the date of filing of return of Income under Section 139 of the Act by the assessee. Section 54F(4) of the Act itself clearly states that the amount not utilized in purchase/construction of flat/house should be deposited in the specified Bank notified by the Government. Thus the plain language employed in Section 54F(4) of the Act makes a clear distinction between cases of appropriation (purchase prior to sale of capital asset) and utilization (purchase/construction after the sale of capital asset). Therefore the word “appropriated” would have no application in cases of purchase/construction of a house after the sale of capital asset with which we are concerned. (v) Lastly and in the alternative, it is submitted by Mr. Chatterji, that as the entire amount has been paid to the developer/builder before the last date to file the return of Income under Section 139 of the Act, the exemption is available to the appellant under section 54F(4) of the Act. In support, the decision of Gauhati High Court in Rajesh Kumar Jalan’s case (supra) is relied upon. The Gauhati High Court in the above case was concerned with the interpretation of Section 54 of the Act. It construed the provision of sub-Section (2) of Section 54 of the Act which is identically worded to sub-section (4) of Section 54F of the Act The Court in the aforesaid decision held that the requirement of depositing before the date of furnishing of return of Income under Section 139 of the Act has not to be restricted only to the date specified in Section 139(1) of the Act but would include all sub-section of Section 139 including sub-section (4) of the Act. On the above basis it concluded that if the amount is utilized before the last date of filing of the return under Section 139 of the Act then the provision of Section 54(2) of the Act would not hit the assessee before it. It is not very clear in the above case whether the amounts were utilized before the assessee filed its return of income or not. (w) However, the factual situation arising in the present case is different. The return of income is admittedly filed on 4th November, 1996. In terms of Section 54F(4) of the Act as interpreted by the Gauhati High Court in Rajesh Kumar Jalan’s case (supra) the amounts subject to capital gain on sale of the capital asset for purpose of exemption, has to be utilized before the date of filing of return of income. In this case 4th November, 1996 is the date of filing the return of Income. It is not disputed that on 4th November, 1996 when the return of income was filed, the entire amount which was subject to capital gain tax had not been utilized for the purpose of construction of new house nor were the unutilized amounts deposited in the notified Bank Accounts in terms of Section 54F(4) of the Act before filing the return of income. It is also to be noted that in line with the interpretation of Gauhati High Court on Section 54F(4) of the Act, the Assessing Officer had taken into account all amounts utilized for construction of a house before filing the return of income on 4th November, 1996 for extending the benefit of exemption under Section 54F of the Act. Therefore, in the present facts, the decision of the Gauhati High Court in Rajesh Kumar Jalan’s case (supra) would not apply so as to hold that the appellant had complied with the Section 54F(4) of the Act. (x) In the above view question no. 2 is also answered in the affirmative i.e. in favour of the revenue and against the appellant-assessee. 7. In the above view, the Appeal is dismissed. No order as to costs. This entry was posted in Section 54F and tagged 387 ITR, Bombay High Court, In favour of Revenue, what is construction for section 54F.